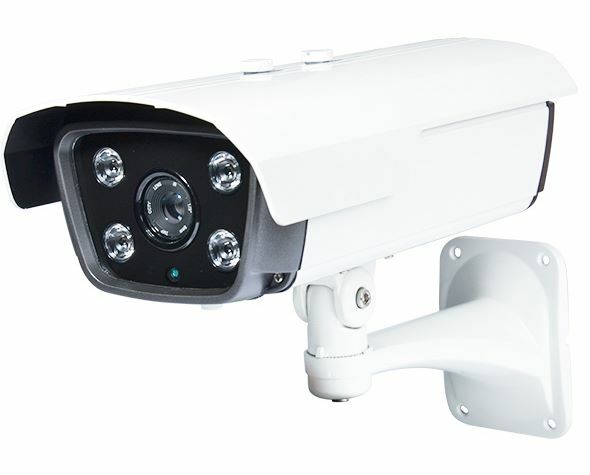 The HDM-BV03 high definition camera comes with a 2 Mega Pixel image sensor, manually adjustable 5-50mm lens, up to 240 feet of IR night vision and the new multi-format circuit compatible with HD-TVI, HD-CVI, AHD or standard analog video recorders. The image sensor provides color images in daytime or areas with adequate lighting then switches to B&W at night or low light areas with IR assisted images. 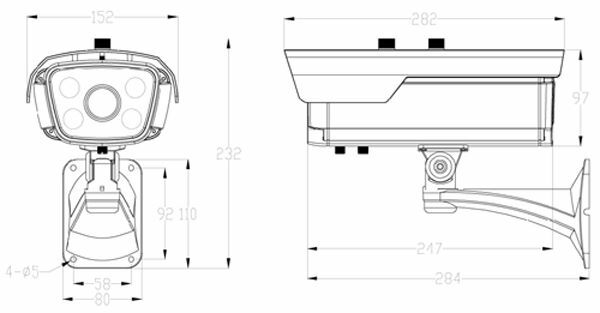 The IP66 outdoor rated housing and concealed cable bracket make it usable for both indoor and outdoor applications. Infrared Illumination up to 240 ft.